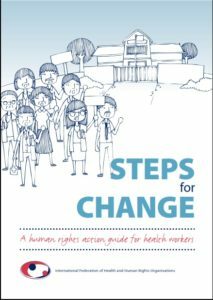 This section outlines the approach and direction of the guide and provides the background information on the Steps for Change in Sectreion 2. The connection between health, human rights and health workers is explained to clarify how this interrelation can be used for action. A list of additional resources with more information on human rights can be found at the end of the guide. 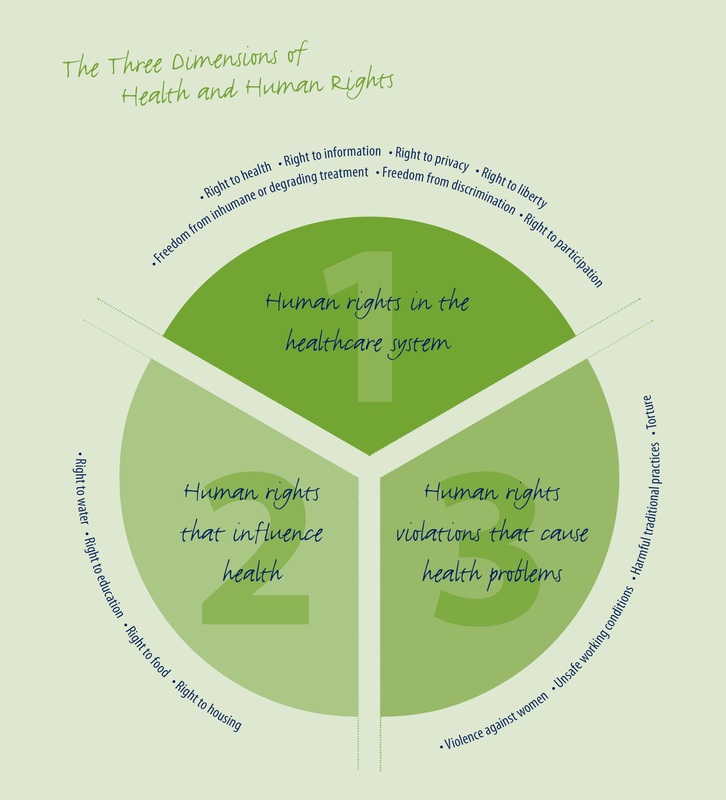 How are human rights related to health? How can human rights be influenced by health workers? How can human rights be used for better healthcare? Human rights are freedoms and entitlements that belong to every human being irrespective of origin, status or beliefs. They represent those values that are fundamental to basic human dignity, development and survival. Respect for human rights protects individuals and groups from injustice and prevents abuse of power. Human rights are legally protected by international and regional treaties and national laws. These legal documents impose obligations on governments to respect, protect and fulﬁl the rights of individuals. This means human rights act as claims on the government. Human rights are supported by accountability mechanisms which assess how governments carry out their human rights obligations. These courts, committees and other procedures require governments to show, explain and justify what is being done to realize human rights. Accountability mechanisms include national human rights institutes, regional human rights courts, United Nations Treaty Bodies and UN Special Rapporteurs. 2. How are human rights related to health? How do these three dimensions have an impact on the daily practice of a health worker? Within the healthcare system, policies, practices and situations can aﬀect human rights such as the right to health, the right to privacy or the right to information. Human rights such as the right to adequate food and nutrition, the right to clean water and the right to education inﬂuence whether people get ill, what type of health problems they may suﬀer and if they will ﬁnd their way to a health facility. Persons with health problems caused by human rights violations such as torture or violence against women may end up at healthcare institutions and require professional care. Although each dimension is equally relevant, the main focus of this guide is on the ﬁrst dimension.